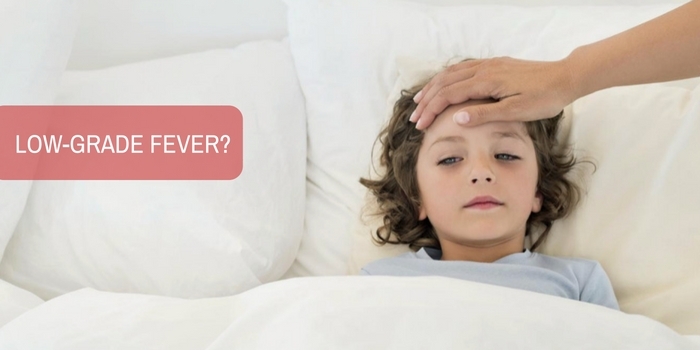 iCliniq › Ask a doctor online › Answers › General Medicine › Fever › Can fungal infection cause low grade fever? Q. Can fungal infection cause low grade fever? For around nine weeks now, I have had a low grade fever and that persists. Also, I feel a little upper throat fullness and mild sinus congestion. I have been in and out of primary care clinics many times looking for help. I had two chest x-rays and they were clear. I also had blood tests for several times and all are within normal ranges. My thyroid is normal and there is no abnormal bowel activity. I do not have vomiting or nausea. There is no sinus problem. I am fatigued, pale and have periodic random strange symptoms like mild numbness or heaviness in legs and fluttering in stomach. I have tried an antibiotic for a suspected sinus infection, but low grade fever and fatigue persists. I eat well and I am maintaining a good weight. How do I narrow down the possibilities of illness? Is it possibly a fungal infection? This is a chronic fever, which is called as pyrexia of unknown origin when we are unable to ascertain a cause. As your blood tests and x-ray are normal, lung infection is ruled out. Conditions causing chronic fever are numerous. Also, certain infections like tuberculosis, HIV and malignancies can cause it. But, in your case it is unlikely as there is no weight loss or other risk factors, neither you have an x-ray abnormality. Now, we move to the lymph nodes. Do you have any lymph node swelling? If yes, then get it tested. Try to get an ultrasound of abdomen to rule out lymphadenopathy. Get a urine routine and culture as sometimes a mild urine infection can get unnoticed and cause fever. Get a blood glucose and renal function test too. If everything comes normal, then we should look for anemia. A low hemoglobin can cause low grade fever and fatigue. Fungal infections usually cause severe illness. To confirm if it is a fungal infection, a blood culture is required. Is it possible that typhoid will cure by itself if not associated with any complication?